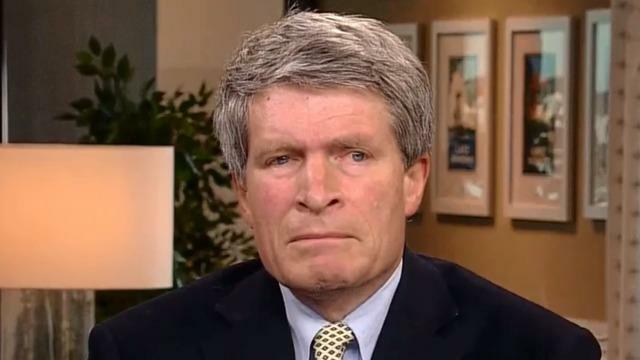 In an interview with CBSN's Elaine Quijano, former White House chief ethics counsel Richard Painter said that there is "far more evidence of abuse of power and obstruction of justice" against President Trump than there ever was against President Richard Nixon. "We're well beyond that point and yet the House and the Senate won't do anything at all," he said on Monday's "Red & Blue." Painter says that there appears to be "very strong evidence" that Mr. Trump violated the Emoluments Clause through his company's business dealings with foreign governments and potential violations of the First Amendment through his attempted travel ban. "Going after President Trump's abuse of power and violations of the constitution needs to be the number one priority," he said. Painter served in the Bush administration from 2005 to 2007 and is now running for U.S. Senate as a Democrat in Minnesota against Sen. Tina Smith, who replaced former Sen. Al Franken after his resignation in January. He called Mr. Trump's behavior "unprecedented even in the most conservative circles of the Republican Party" and called on congressional Democrats to be more assertive in calling out the president. "I think this president is a great risk to our democracy and he has shown that since he was elected," he said. Painter said he personally believes that Mr. Trump and Vice President Mike Pence should be removed from office. He also said the president's "abuse of power in office, his violation of the constitution, his rhetoric ... borders on fascist."